How Will PEPRA Affect Retired Annuitants? 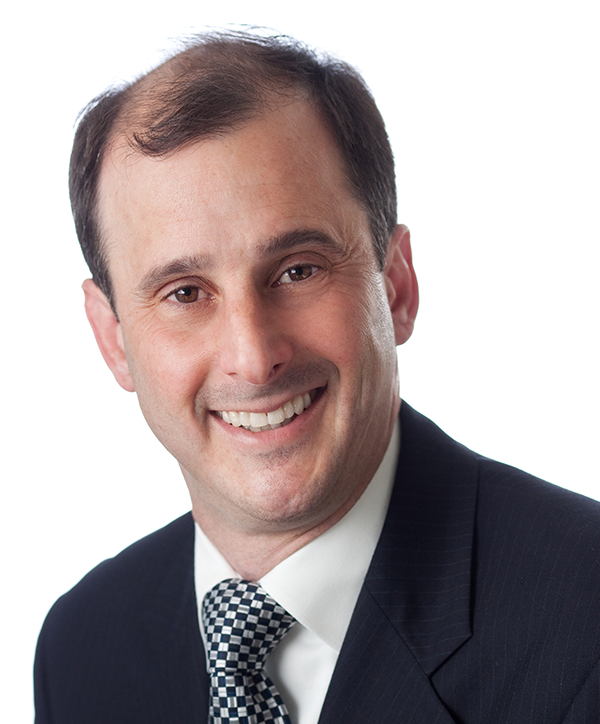 Edward (Eddie) Kreisberg specializes in providing labor and employment litigation, advice, arbitration, administrative hearing, and negotiation services to public and private employers throughout California. The Daily Journal recognized Eddie as one of the “Top Labor and Employment Lawyers” in California for 2011. Eddie represents employers in discrimination, harassment, retaliation, wage and hour, benefits, and labor agreement lawsuits. He has special expertise in layoffs and furloughs, accommodation of disabilities, discipline, grievances, the Family Medical Leave Act (FMLA), the California Family Rights Act (CFRA), pension, health, privacy, Public Employment Relations Board (PERB) charges, overtime, the Public Safety Officers Procedural Bill of Rights Act and the Firefighters Procedural Bill of Rights Act, drug and alcohol issues, and violence in the workplace. Eddie also represents employers in discipline, grievance, and interest arbitrations, as well as administrative hearings before civil service commissions, PERB, the California Public Employees’ Retirement System (CalPERS), the Department of Labor and the Employment Development Department. He also audits public agency rules, labor contracts, job descriptions and payroll practices to ensure compliance with wage and hour laws. Eddie is a sought-after negotiator and advisor on all aspects of labor relations. His work includes negotiating and advising on successor Memoranda of Understanding (MOUs), side letters, personnel rules, employee handbooks, department policies, civil service rules, past practices and employer-employee relations resolutions. He has assisted employers with the complete range of representation issues, including organizing campaigns, elections, petitions to certify, de-certify and modify units, and related meet and confer grievance and unfair labor practice proceedings. Eddie also has drafted and met with unions on Employer Employee Relations Rules governing unit and representation processes. Eddie’s comprehensive experience includes serving as counsel to neutral Commissions and Boards that rule on representation petitions and related disputes. Eddie previously clerked for federal Magistrate Judge Louisa Porter in the U.S. District Court, Southern District of California; advised Congressman Robert T. Matsui on legislation and policy issues; and interned in the Office of Congressman Mel Levine. He has clerked for both an insurance defense law firm and the Alaska office of a national firm representing Native American governments. Fremont Association of City Employees v. City of Fremont. Represented the City in a grievance brought by the Fremont Association of City Employees. The association alleged that the City violated the MOU and failed to meet and confer regarding assignment of “patrolling” job duty following layoffs. The arbitrator ruled in favor of the City and denied the grievance. IAFF Local 1230 v. City of Pinole. Represented the City in an arbitration of a firefighter appealing termination for being under the influence of marijuana during work hours. The arbitrator upheld the termination. IFPTE, Local 21 v. Santa Clara Valley Water District. Represented the District in a discipline appeal of a Procurement Unit manager terminated for performance issues. The arbitrator upheld the termination. IAFF Local 55 v. City of Oakland. Represented the City in an arbitration hearing regarding rights of IAFF Local 55 to arbitrate claims related to retiree health benefits. The arbitrator ruled in the City’s favor. The IAFF Local 55 subsequently dismissed the underlying grievance. Milpitas Police Officers Association v. City of Milpitas. Represented the City in a grievance filed by the Milpitas Police Officers Association. The association alleged that the City was not honoring holiday pay for employees working schedules consistent with the MOU. The arbitrator ruled in the City’s favor and denied the grievance. Ross v. Xformic, Inc. Represented a technology company in a Department of Labor hearing concerning a complaint of contractor for overtime. The Department of Labor dismissed the claim, concluding that the claimant was an independent contractor; therefore, he had no justification to claim overtime. South San Francisco Police Association v. City of South San Francisco. Represented the City of South San Francisco in a grievance filed by the South San Francisco Police Association. The association alleged that the City was violating the MOU by not cashing out sick leave for separating employees with 20 years of service who did not retire with CalPERS. The arbitrator ruled that the City’s practice was consistent with the MOU and denied the grievance. Association of Bay Area Governments (ABAG) v. SEIU Local 1021. Represented ABAG in a grievance. ABAG is a nonprofit planning organization serving cities and counties in the Bay Area. The grievance concerned ABAG’s procedural obligations when reducing a grant-funded employee’s weekly schedule due to reduced funding and an agreement that the employee’s full-time schedule was temporary. Anderson et al. v. City of Vacaville. Represented the City of Vacaville in an FLSA lawsuit filed by over 90 current and former police officers in the Vacaville Police Department. The case resolved in a favorable settlement for the City. Barnes v. Northern California Power Agency (NCPA). Defended NCPA in a lawsuit brought by a former employee alleging age and disability discrimination and retaliation. NCPA received a complete judgment based on a favorable court ruling on a motion to dismiss. Carranza et al. v. Town of Los Altos Hills et al. Represented the Town of Los Altos Hills in a wage and hour, discrimination, retaliation and tenancy lawsuit filed by employees of a lessee of the Town. The court dismissed all claims against the Town except those related to tenancy, which was subsequently settled. Eng v. Santa Clara Valley Water District et al. Represented the Santa Clara Valley Water District for allegations of discrimination and retaliation for whistleblowing brought by the District’s former budget officer. The Court granted the Santa Clara Valley Water District’s motion for non-suit. Fairfield Police Officers Association v. City of Fairfield. Defended the City of Fairfield in a writ and injunction action filed by the Fairfield Police Officers union. The case resulted in a subsequent settlement; the best final offer is pending following contract negotiations. Hart et al. v. City of South San Francisco. Defended the City of South San Francisco and South San Francisco Police Department in a marital discrimination and harassment lawsuit brought by a police sergeant and his wife, and a Police Department evidence clerk. The City and Police Department achieved a favorable settlement. Higdon v. City of Fort Bragg. Represented the City of Fort Bragg in a lawsuit brought by a former police sergeant who resigned to take a job with another agency but claimed entitlement to retiree health benefits. The court ruled in the City’s favor. Kerr v. City of Turlock. Represented the City of Turlock in a lawsuit brought by its former City Manager alleging entitlement to greater severance and contributions to CalPERS. Martinez et al. v. City of Union City. Represented Union City in a writ action challenging the amount of the City’s PERS health contributions to retirees and the effective date of changes in PERS health law. Mitchell et al. v. County of Tuolumne. Represented the County of Tuolumne in a lawsuit filed by several former County employees seeking increased retirement benefits. We achieved a complete dismissal, which was upheld by the Court of Appeal for the Fifth District. Moes v. City of Hanford. Represented the City of Hanford in a lawsuit concerning a police officers’ alleged right to wear a goatee under the facial hair grooming standard set forth in the MOU. The Court granted the City’s motion for summary judgment. Retired Employees Association of Orange County County of Orange. Successfully defended Orange County against a federal lawsuit brought by the Retired Employees Association of Orange County challenging the methodology and rates set for retiree health care and asserting “vested rights” to retiree health care benefits. The County’s actuary earlier estimated the unfunded liabilities relating to its retiree medical program at approximately $1.4 billion. Yates et al v. Young Women’s Christian Association (YWCA). Helped settle a race and gender discrimination and harassment lawsuit filed by three YWCA employees and a former employee.